Historically, the colour red has always been a conduit for emotion. It can convey both love and anger, it is strong but not overpowering, bold but not over the top. Brands like Ferrari have used the color red, or Rosso Corsa as it’s called, to enhance their brand and evoke emotion from the onlookers. 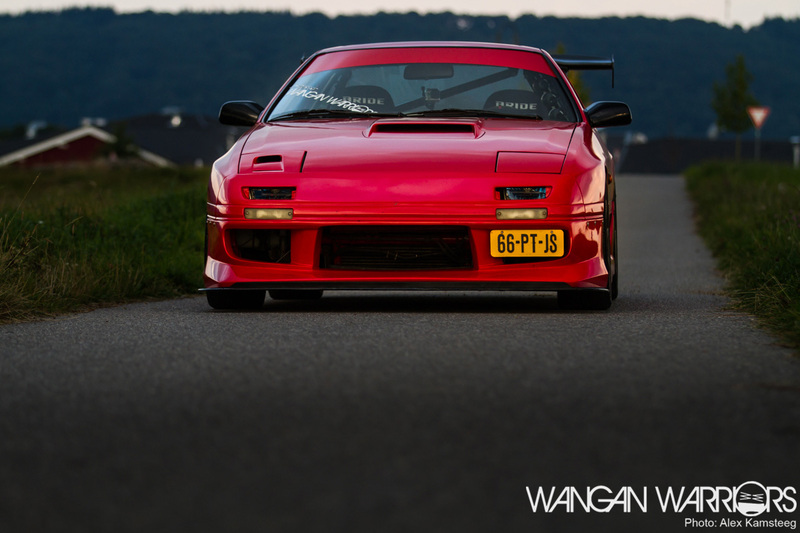 Mazda introduced their shade in the middle 80’s called Classic Red and it is still one of the first things that crosses your mind when you think about Mazda in that era. That and their awesome RWD sportcars that were often powered by magic triangles. Which brings me to our subject of today. 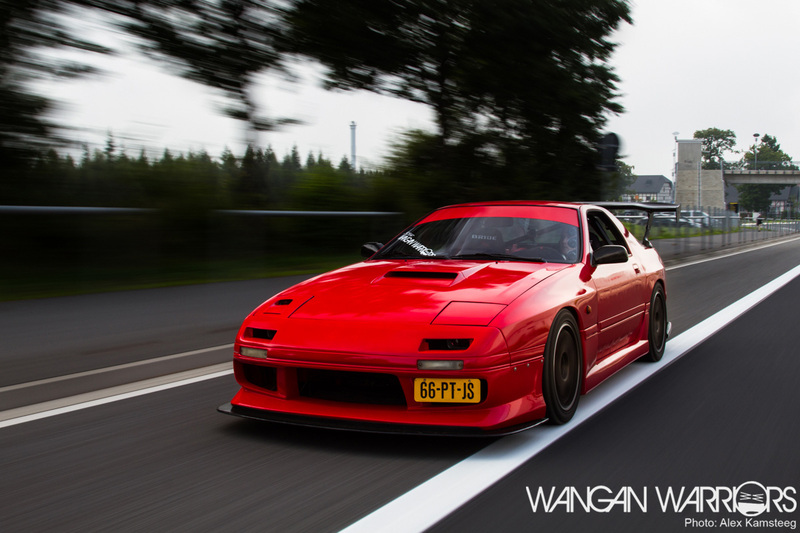 Whether it be parked in a commercial PA in Oosterhout or carving through the Carrousel at the Nürburgring, there is virtually no way of missing Kevin’s RX-7 FC3S. It is agressive, out-there and loud. And I mean both aurally and visually loud! Kevin has been working at improving his car for some time now. 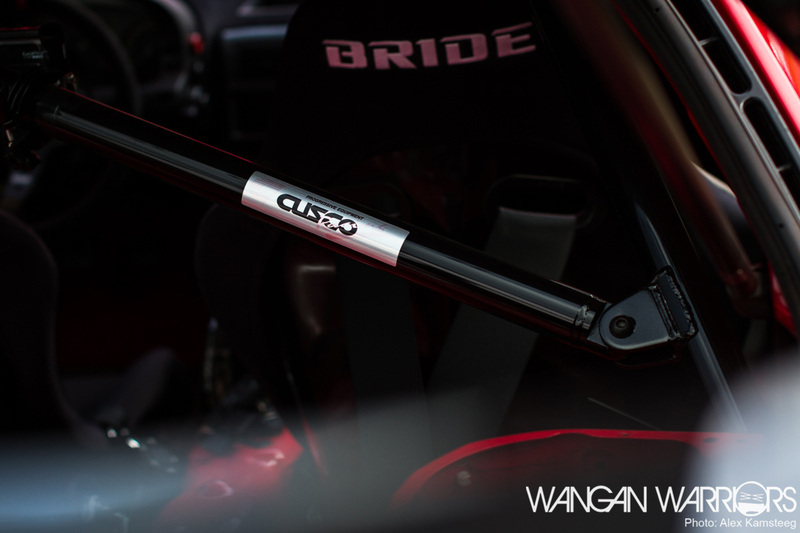 Last year Rens posted a short blog about the FC3S, but that was before the major exterior overhaul was started. Kevin has been teasing the interwebs with vague shots, and so everyone was excited to see it in the flesh when we went on our Ringweekend. 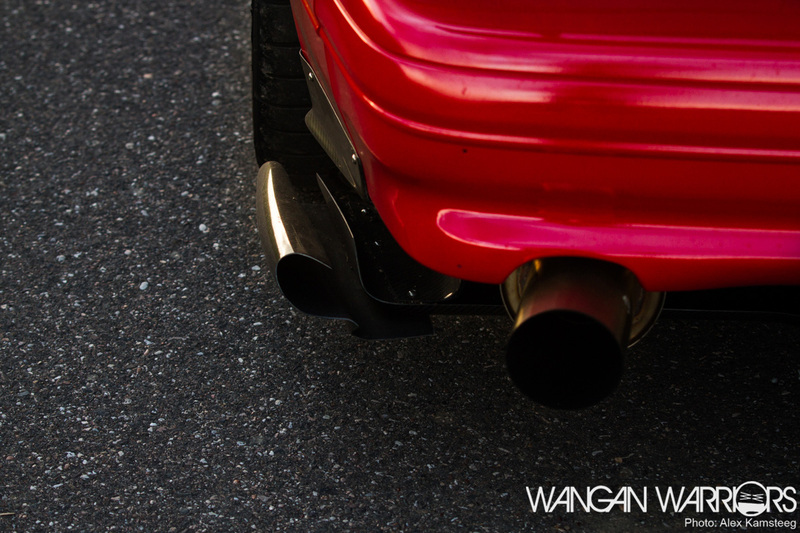 The first thing you’ll notice when you look at the car is the wing. I mean; THAT WING THOUGH! It’s not quite as wild as the thing that come out of Big Country Labs in the US, but there is no denying that it firmly states the intent of this car: Function. Most spoilers on streetcars are more of an aesthetic choice than anything else but this time, the height and tilt of the deck follows the flow of the air that moves over the roof creating quite a bit of downforce. In fact the whole car was revamped exterior-wise. Next to the wing the car now sports a Foresight front bumper and sideskirts. Kevin also made a custom front splitter to help attack the corners at the Grüne Hölle. The new bumper also makes a bit more room for the V-mount rad/intercooler setup that will be going in the car this winter. 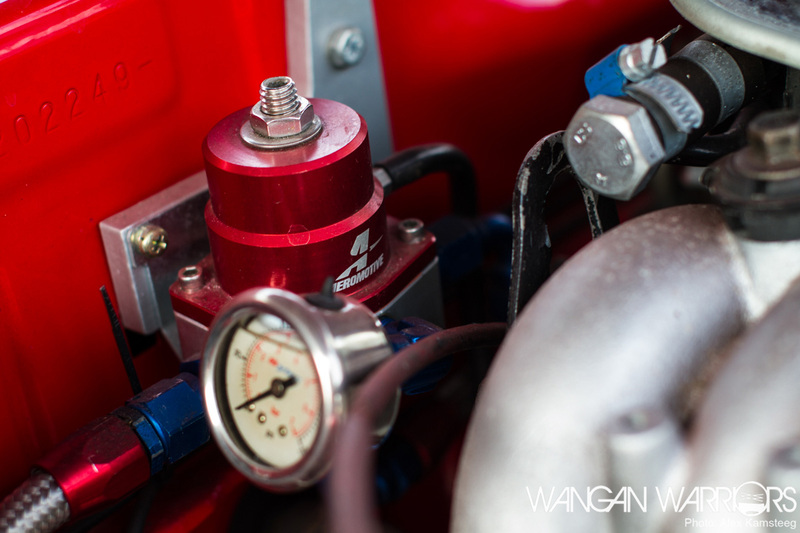 I know from personal experience that a V-mount setup works really well in keeping the hot-headed rotary engine cool. Moving to the rear of the car we can see another bit that aids the stability of the car. The Shine Auto diffuser and Vortex-generators help keeping the rear planted through corners and aid high-speed stability. 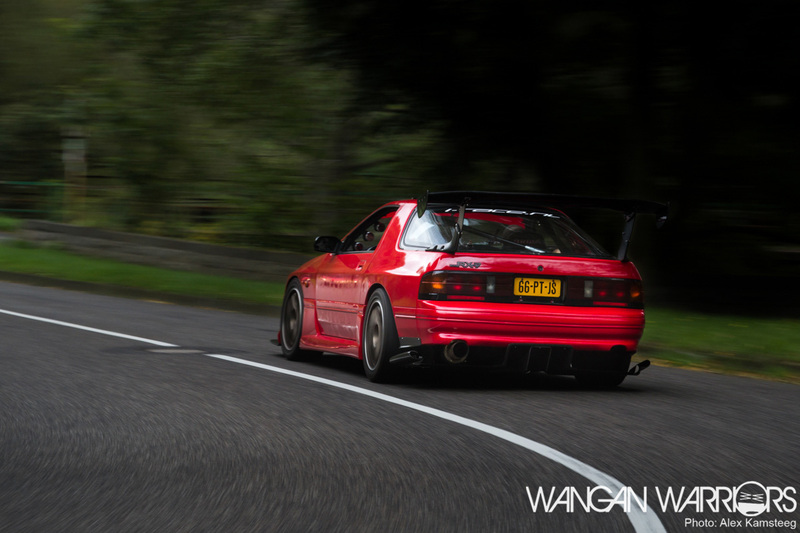 In my personal opinion you simply can’t go wrong with a RE-Amemiya-ish diffuser on the FC3S. 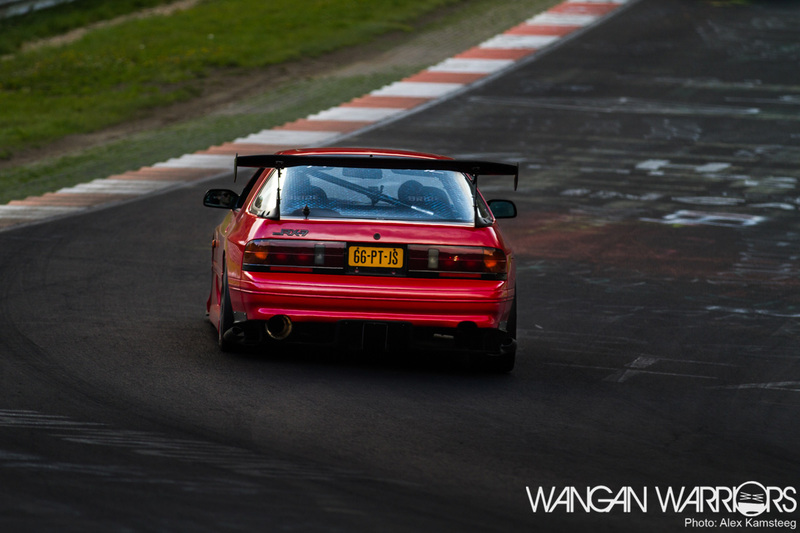 Kevin also replaced the rear bumper with an USDM example whilst the rear lights were changed for Japanese units. To make sure all of that downforce is translated to the wheels the car is equipped with some custom-spec Intrax 1k2 coilovers. Prothane bushings are used in the Super Now and Mazdatrix lateral and camber links which, in collaboration with the Intrax adjustable tophats, make the McPherson suspension fully adjustable. 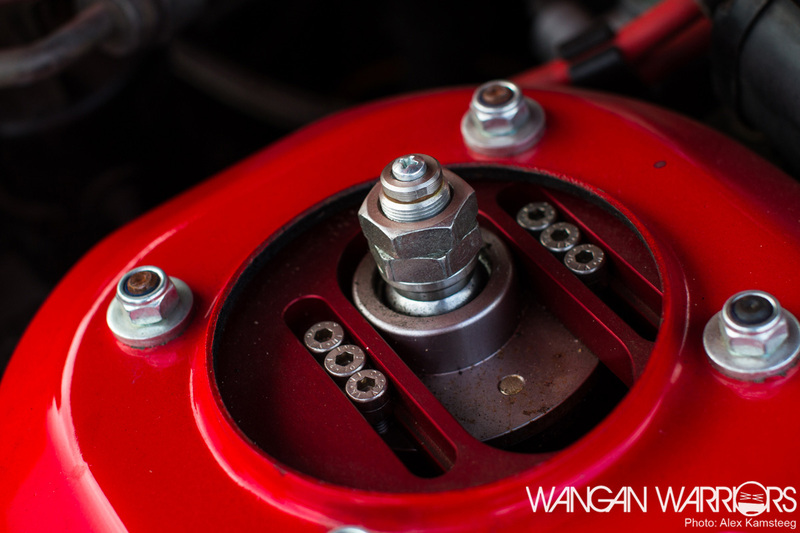 Racing Beat, a very renown company in Mazda realms, provides stiffness and adjustability in the sway bar departement. The car rolls on a set of 17″ 5zigen GN wheels measuring 6,5 and 7,5 inches in width front to rear respectively. Falken Tires provides the grip with a set of sticky Azenis. 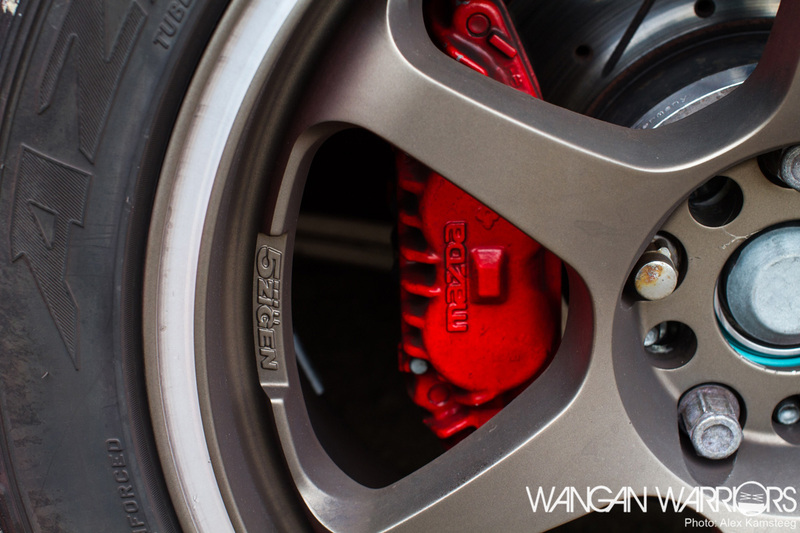 Stopping power is provided by the stock-but-capable Mazda calipers clamping down on Stoptech slotted rotors via Hawk HP pads. The ABS system was removed and Earls Performance braided lines were used resulting in a firm and direct pedal feel. … coupled to a Cusco bolt-in cage make sure he is kept at the helm even in higher G situations. 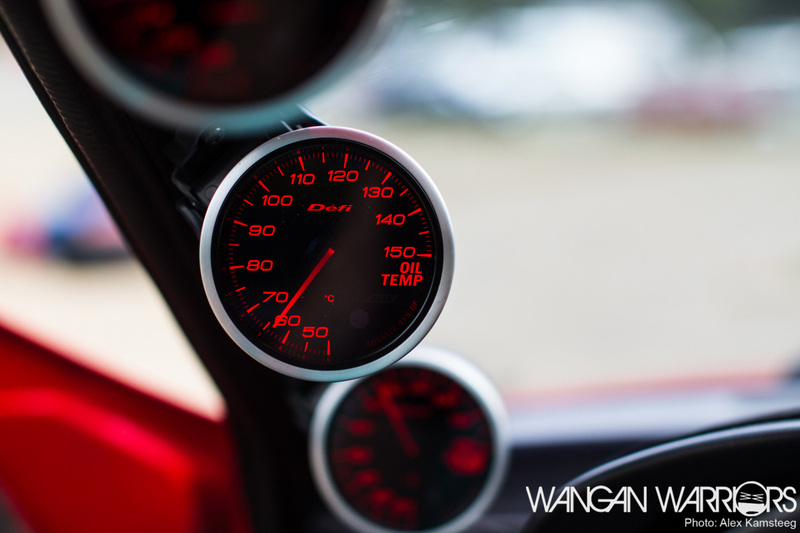 Engine parameters are displayed on a trio of Defi Advance BF gauges showing oil temperature, coolant temperature and boost pressure. The engine is the 13B that came with the car but it has been streetported and rebuilt with MCR bearings and uprated apex seals. 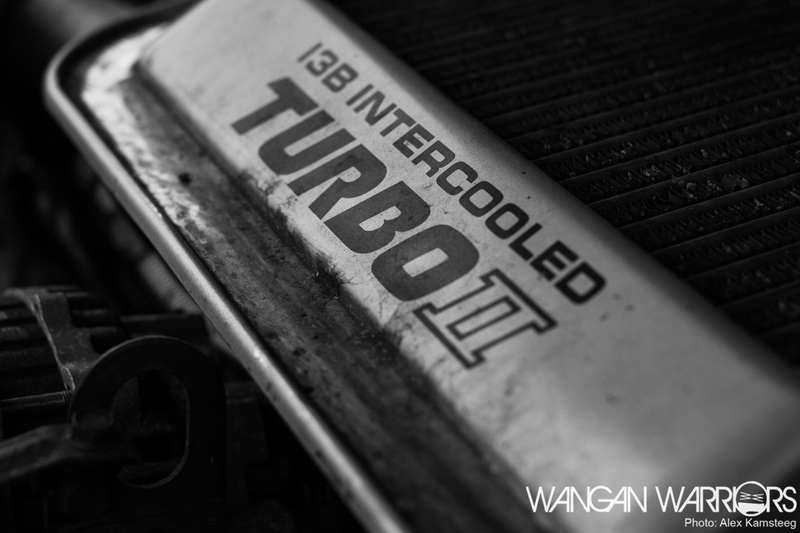 Boost is generated by a BNR Stage 4 turbo that, until the V-mount arrives, breathes via an Apexi filter through the stock top-mount intercooler into the the stock plenum that has been converted to single throttle. 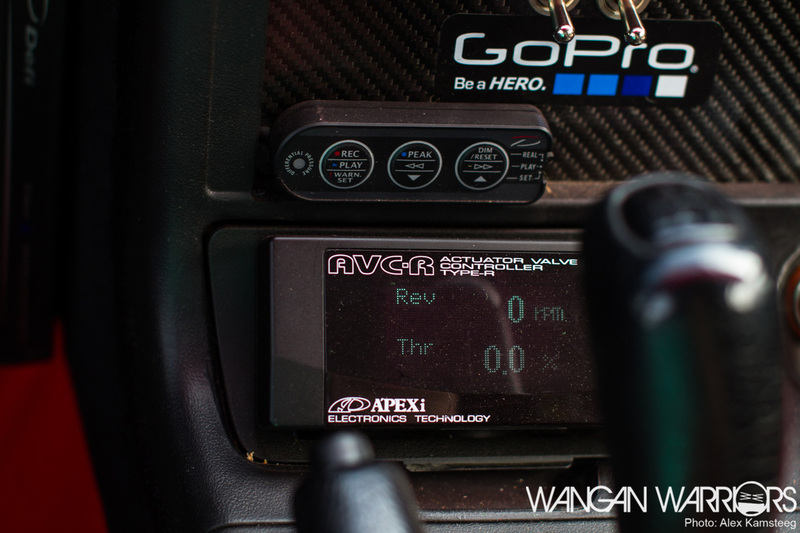 The EGR and airpump were removed as well as the airconditioning to preserve power and shave some weight off the front. Cooling is handled by an aluminium Koyorad dual-flow radiator. 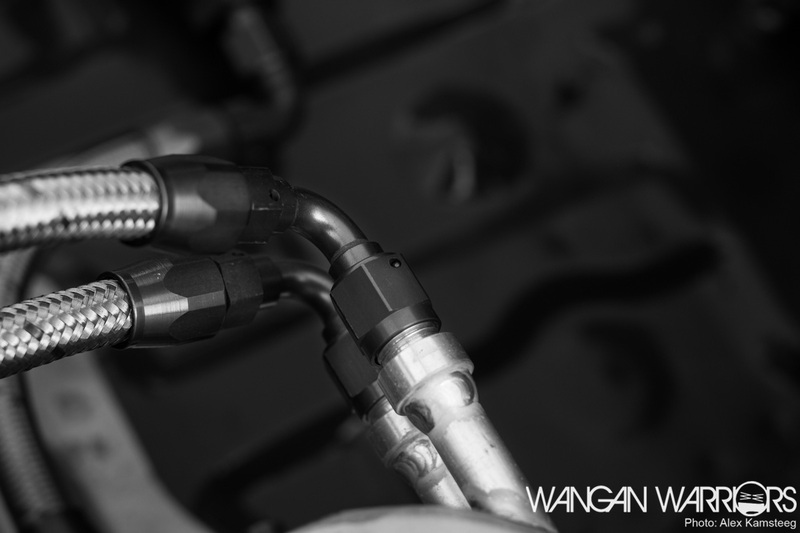 With reliability being somewhat of an issue with the Wankel engine it’s wise to invest in those areas that make the engine run better. 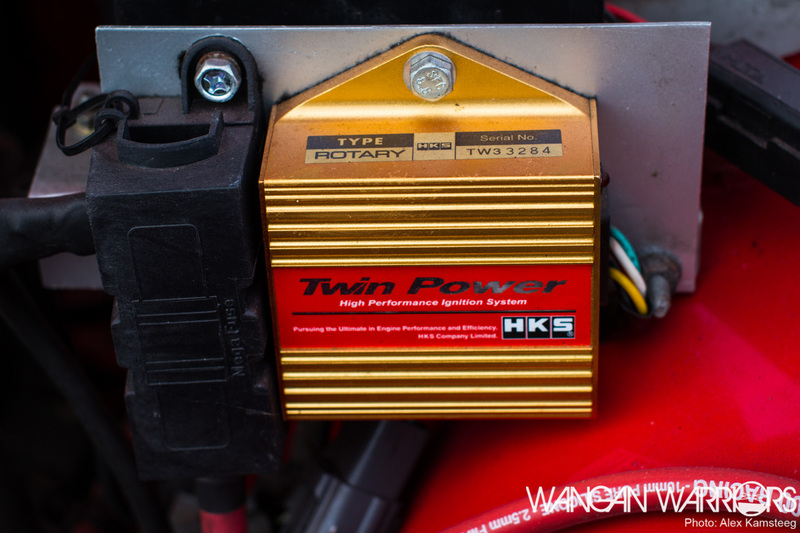 The HKS Twin Power system amplifies the spark making the engine start better(thus lowering the chance of an engine flood) and keeping a more consistent spark as the boost rises.  Magnecor leads are also implemented to maintain a strong spark. Next to a spark a screaming rotary engine needs fuel, lots of fuel. After reading this article, it shouldn’t be much of a surprise if I said that this departement has been well thought out too. 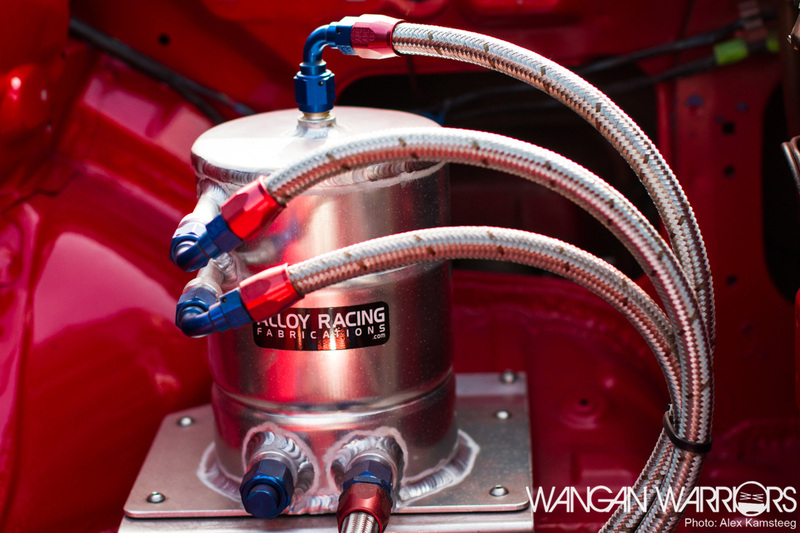 … the first of the 2-stage fuel filters. It then flows into a Bosch 044 main pump. Fuel is then filtered again before it’s sent to the front of the car. All lines are braided stainless steel with Earls fittings and couplings. Up front, pressure is regulated by an Aeromotive unit. The Aeromotive FPS is famous amongst rotorheads because of it’s precision, reliability and pressure range. 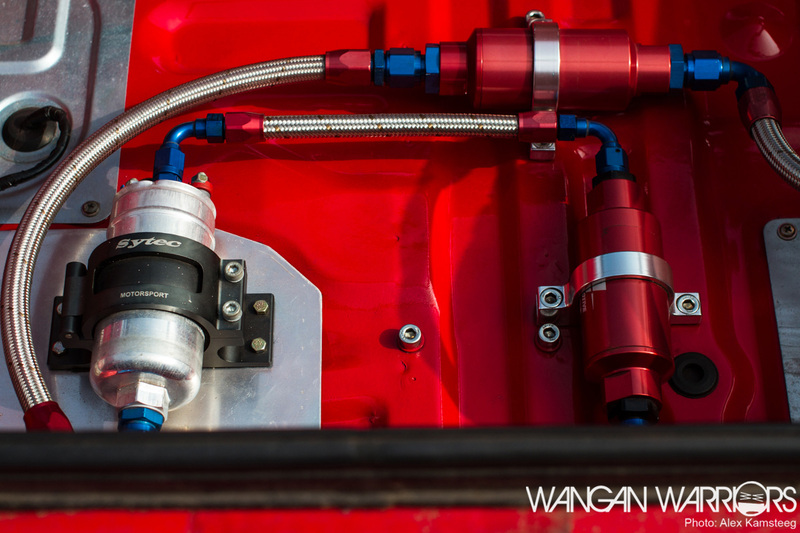 Fuel is then sent on to a pair of KG-Works fuel rails that feed the Injector Dynamics 725cc primary and 1000cc secondary injectors. 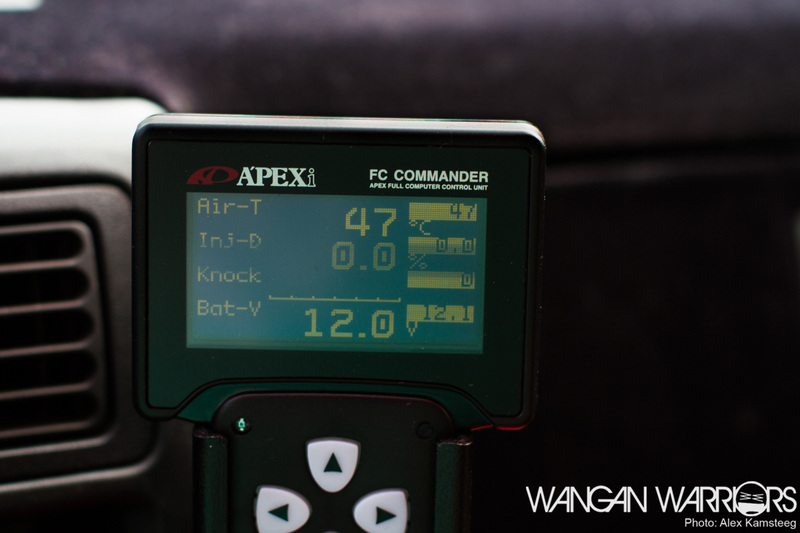 As it sits the car produces around 315hp and 340Nm at low boost as it awaits final mapping which will happen after the V-mount and a new inlet manifold is installed. I haven’t had the chance yet to sit shotgun in this car at the track but I know for sure it is already a very potent package and I cannot wait until it’s been mapped. 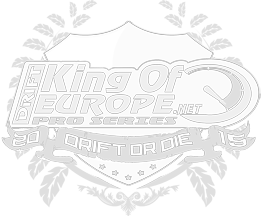 Kevin has mentioned to me that he plans on getting into the 9’s on the Nordschleife and there isn’t a doubt in my mind that he will get there. Purely functional yet aesthetically pleasing, Kevin has created something that you don’t see everyday, especially not here in Holland. Referring back to the first paragraph, I can see why Mazda chose to produce many of their iconic cars in Classic Red. 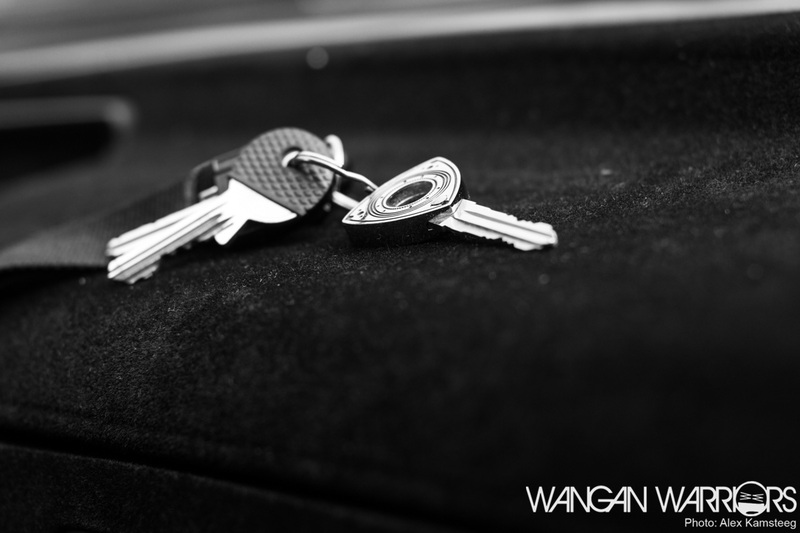 Even in stock form, these cars aren’t silent, or luxurious, or fuel-efficient, yet they manage to evoke something in the hearts of those who drive them. 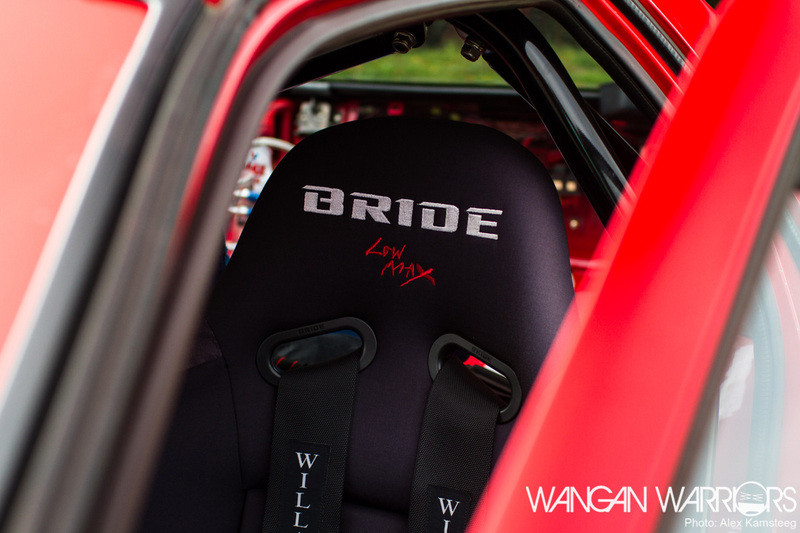 Whether it be blasting through the Touge, drifting the docks of Yokohama or cruising the Wangan, cars enable us to clear our minds of the struggles of life and for some time it’s just you, your car and the open road ahead. 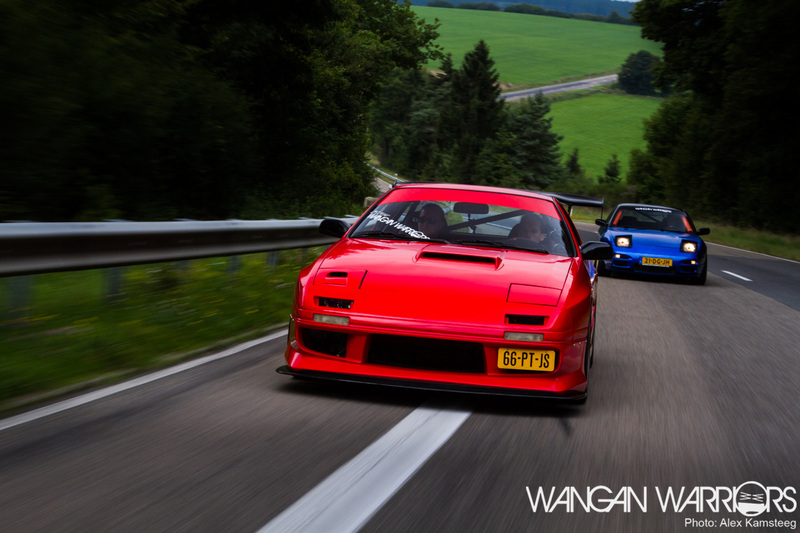 Driving emotion.